Beautiful jewels should always be seen, but so many pieces of antique jewellery don’t get the chance to sparkle. 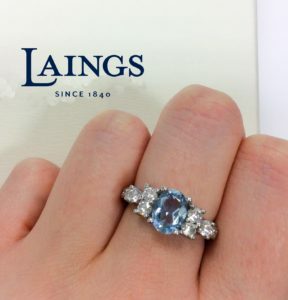 However, this is changing and more and more jewellery lovers are transforming heirloom pieces and creating something new that they’ll enjoy wearing for many years to come. Transforming vintage jewellery is not something that is new. However it has seen something of a resurgence and using antique jewellery to create more wearable designs is definitely in vogue. This idea of re-working jewellery has actually been around for centuries, Roman remounted precious stones and medieval jewellers were always recycling materials. Whilst the practice has been quietly in place for hundreds of years, now more and more jewellery lovers are sitting up and taking notice. 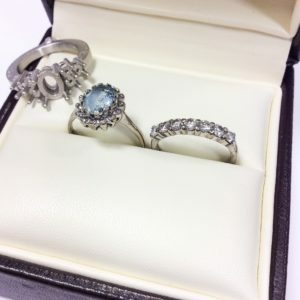 Many people have pieces of jewellery that they’ve inherited, hidden beneath a layer of dust in an old jewellery box, just waiting to be worn. Their vintage style is not to the taste of their new owner and so they are put away and forgotten. But this shouldn’t be the case! Treasures from bygone eras can be transformed into more contemporary, wearable pieces and jewellers are breathing life back into glittering pieces of history. These special pieces are also usually embedded with emotion and sentimental meaning. It’s likely that they were passed down generations and have been part of some beautiful moments from times gone by. These pieces are something special that should be enjoyed and by transforming vintage jewellery into something new you are able to add the next chapter to a sparkling story, keeping memories alive. Transformed pieces are also proving popular as they are without a doubt truly unique. They are all exclusive to the individual and express a distinct personality. As well as getting you noticed every piece tells a captivating story and becomes a talking point. It’s a statement with a much more romantic tale to tell. The transformation has become part of that story and the special meaning that this holds is a value that’s priceless. The possibilities are endless when it comes to the design – rings can be made into pendants, brooches can be made into earrings – whatever you’ve been dreaming of! The new design will always take into account the best way to showcase the jewels, as well as the personal style of the new wearer. It will be designed to suit them, looking at how they will be wearing it and tailoring it to personal style. 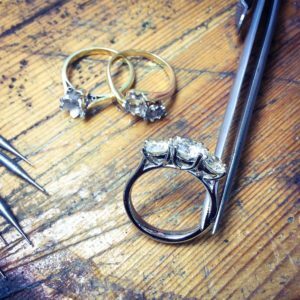 If you’re looking to transform vintage jewellery are Bespoke Design Team are on hand to help you to bring your jewellery dreams to life. They’ll be with you every step of the way for this magical journey and can help you carry on the sparkling story of a special piece. Thank you for taking the time to read about transforming vintage jewellery! Follow our latest news on Twitter, Facebook, Instagram, YouTube and Pinterest, or if you have any questions please pop us an email at info@laingsuk.com.